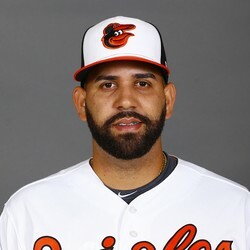 The Baltimore Orioles have traded for New York Mets pitching prospect Gabriel Ynoa. In return the Mets will receive cash considerations. Dan Duquette has been quoted as saying "our scouts feel he can develop into a major league starting pitcher by developing a consistent breaking ball." This is great news to hear for fantasy purposes in dynasty leagues. Currently Ynoa doesn't have much value unless he can earn a back end rotation spot in Baltimore. Ynoa ended 2016 with 6.38 ERA, 1.80 WHIP and 17 strikeouts in 18.3 innings pitched.